Hey there, alcohol-drinker! 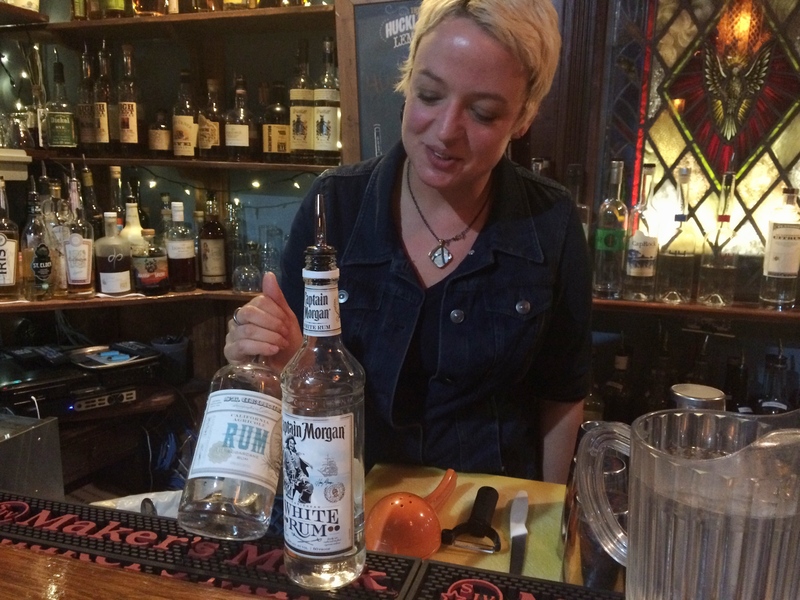 If you like the idea of knowing more about the spirits involved in your libation, if you’re a history buff, or if you would like to make bartending a career, you may want to sign up for the Bar Wisdom class series. The series takes place at Wisdom, 1432 Pennsylvania Ave SE, Sunday afternoons and at Church and State, 1236 H St NE, on Monday nights. Ever since he opened Wisdom in 2009, and Church and State in 2011, Erik Holzherr has been interested not just in creating cozy and creative spaces for drinking: He is also interested in using the best ingredients, combining them in innovative ways, and paying homages to classic drinks. If you’ve never had a classic Martini at Church and State made with Leopold Bros. Gin, just dirty enough and served with tiny olives on a beautiful vintage glass, you must remedy this fact, and quickly. The other facet of Holzherr’s approach to mixology is his passion for education. The bartender educators, headed and trained by Erik himself, are not just impressively knowledgeable about their craft, but they get you excited about the nerdier aspects of alcohol. It takes away the stigma and stereotype of alcohol as something you ingest mindlessly and regardless of its craft and history –a movement that is a lot more evident in wine and beer– but makes you appreciate the art and craft of distilling and mixing. If your interest in alcohol is a little more dilettante in nature, you can also sign up for basic mixology classes. 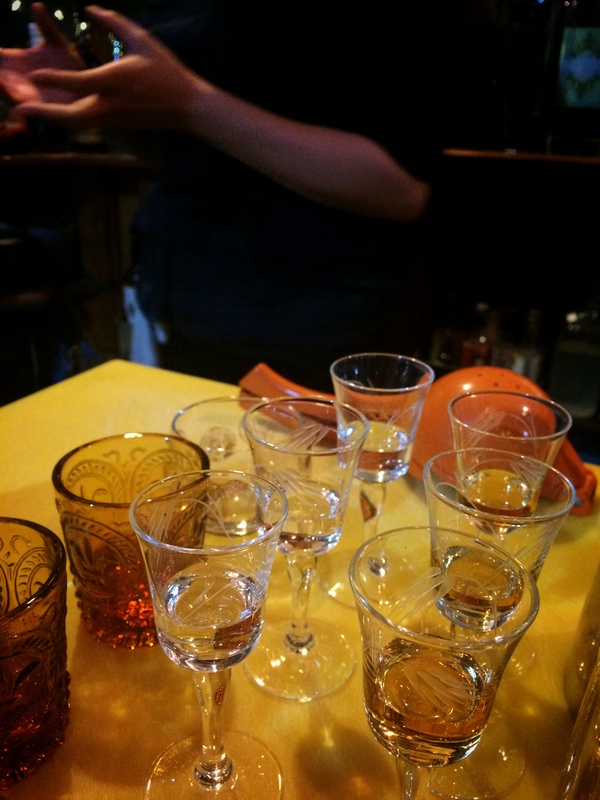 The Bar Wisdom class I attended centered around rum, tequila and absinthe. Erik attended part of the class, but our instructor was Tania Morgan. Tania’s enthusiasm for the subject was evident throughout, but some of the best moments involved the taste comparisons and her careful fussing over the Absinthe fountain. It was great to have a knowledgeable guide straightening out outmoded notions regarding the liqueur, which was illegal in America until 2007, after being banned for 97 years. 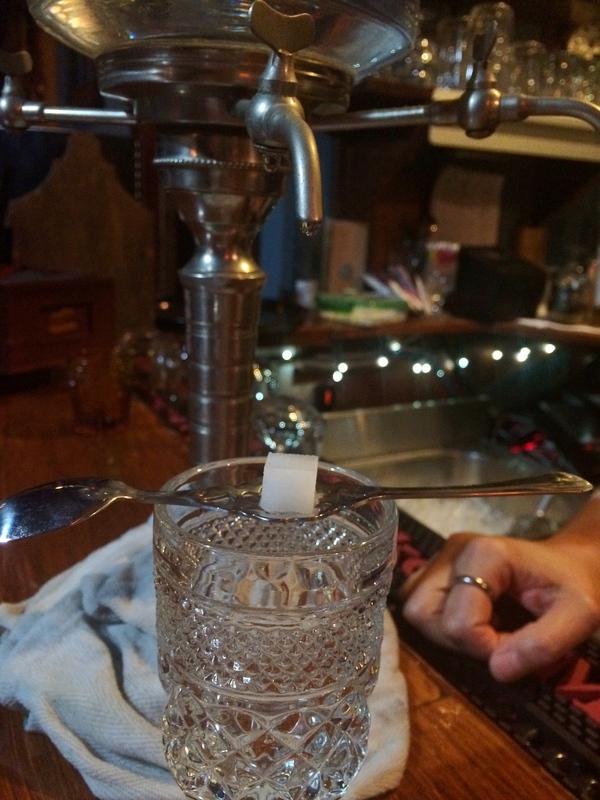 Fun fact: Did you know Absinthe is just really, really, really strong? The reason why the Green Fairy caused so much trouble was because it can be between 90-148 proof? It’s not the thujone, stupid: It’s just reeeeeeeally strong. Class with Tania lasted a little under three hours, but the time went by quickly as we learned about rums, the difference between tequila and mescal, and ended with the Green Fairy. In between, we came up with new words to describe some of the asphalt-y notes of mezcal; realized that Absinthe doesn’t all need to be green, and that the sugar cube is not necessary. At times serious and complex, with parts where I had to dust my organic chemistry off the mind shelf to follow along, the Bar Wisdom class gave me a new appreciation for the art and craft of mixing and tending bar. The class was slow-paced and intimate. At times, it was hilarious, but then would turn dizzyingly serious –and that was not at all the alcohol speaking. Thoughtfully designed and organized to make it about the learning experience more than the alcohol, this is the kind of class that you take if you’ve ever wanted to be a better tender at a party, or if you are indeed serious about tending bar at a restaurant. When: Sundays and Mondays through January. Although a new cycle started in November, you can take individual classes or pick the topics that interest you most. Why: If you love alcohol or spirits; if you’re interested in deepening your knowledge; or if you’re considering a career in bartending, this is the class set for you! Also? FUN!